Our thanks to Dr Ines Murzaku, Professor of Church History at Seton Hall Univerity, for sharing this article with us. The theme for this year’s Week for Christian Unity (January 18-25) is “Reconciliation - The Love of Christ Compels Us.” During the General Audience recalling the Week of Prayer for Christian Unity, Pope Francis encouraged Christians to look with hope to what “unites us” rather than that which “divides us.” Indeed, this is how bridges are built and foundations for dialogue reaffirmed. I made my students listen to a lecture by Abbot Sergius of St. Tikhon of Zadonsk Monastery (an Eastern Orthodox Monastery in Waymart, PA) on the Divine Liturgy, just to understand another view on liturgical theology. The abbot speaks of liturgy as an intimate “encounter” with God through the Incarnate Christ, who unites Himself to us through the sacraments, thus working the great mystery of salvation. 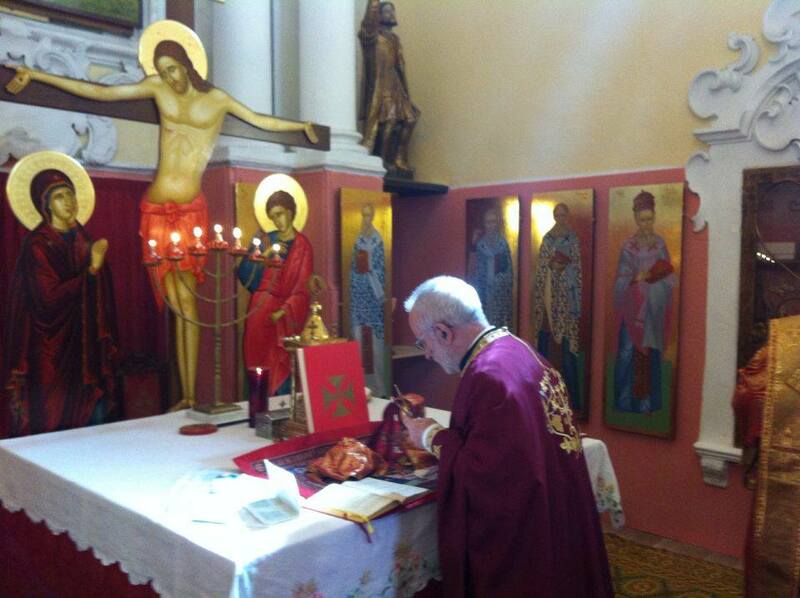 Moreover, the Divine Liturgy has a double unitive function: vertically with God, and horizontally with each other. Further, the Divine Liturgy is also a public service involving the whole community in an act of prayer, worship, teaching, and communion of the one Body of Christ. In the East, celebrating the Divine Liturgy was saving. 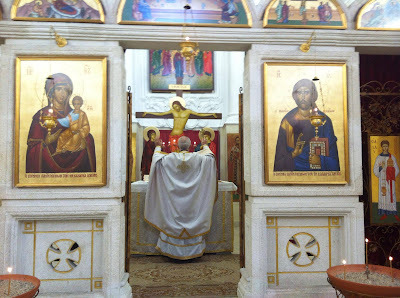 In fact, what enabled the Eastern Churches to survive the Communist persecution was the worship and the celebration of the Divine Liturgy in the local Church. In the East, a Eucharistic community “One Lord, One Faith, and One Baptism” (Ephesians 4:5) proved to be a surviving community. The understanding of Divine Liturgy in the East and the West are very similar, as my students observed after the abbot’s lecture, with some differences, the most visible and important being the normative use of ad orientem in worship in the East. Facing sacred places or destinations while praying is the norm in major world religions. The sacred destination for Judaism is towards the dwelling place of God, otherwise known as Shekinah, the Holy city of Jerusalem. “Daniel continued his custom of going home to kneel in prayer and give thanks to his God in the upper chamber three times a day, with the windows open toward Jerusalem.” (Daniel 6:11) Muslims pray in the direction of the city of Mecca, a symbol of religious unity among Muslims. The Church of the first millennium in the East and in the West worshipped facing ad orientem. The first Christians, beginning in the second century, directed their prayers facing East, in the direction of the rising sun. While there is no explicit reference to ad orientem in the New Testament, the significance of the East in Matthew 24: 27 is remarkable: “For just as lightning comes from the east and is seen as far as the west, so will the coming of the Son of Man be.” The Eastward liturgical orientation seems important to East and West. For St Cyril of Jerusalem, a fourth century saint venerated by the Eastern and Western Churches, the West was the region of sensible darkness. Instead, he advised “turning from West to East, the place of light.” His contemporary St Basil the Great wrote in De Spiritu Sancto that the unwritten tradition of the Church “has taught us to turn to the East at the prayer.” Christ is Sun of Righteousness and Dayspring, so “the East is the direction that must be assigned to His worship,” wrote St. John of Damascus in De fide Orthodoxa. Blessed Jacopo de Voragine, Archbishop of Genoa in the 13th century, specified that seeking and looking towards our ancient homeland and towards God, we worship facing East. Bishop Guillaume Durand (13th century), who wrote an indispensable guide for understanding the significance of medieval ecclesiastical art and worship, advised that the priest at the altar and in the Offices should pray towards the East. Consequently, churches were built with altars facing East, a direction which was standard and incredibly useful to the medieval pilgrim who wanted to avoid getting lost in the cities. Churches were natural landmarks to keep track of directions. Theologically, worship facing East was important: it united the local churches, East and West, to the universal Church. Worshiping ad orientem was standard for the united Church in the first millennium and until after Vatican II, praying facing East was the standard in the West, as well. What did Sacrosanctum Concilium prescribe for Catholic liturgy? The Council required of the Roman Catholic Church that “the rites be revised carefully in the light of sound tradition, and that they be given new vigor to meet the circumstances and needs of modern times.” In my view, the main point is that the Council understood the organic growth of the liturgy and the importance of re-visiting or revamping the ancient tradition; by no means was it in favor of the break with ancient tradition. Sacrosanctum Concilium specified that any new forms adopted in the liturgy should in some way grow organically from forms already existing. The Council warned that what must be avoided at all costs in this matter is that eagerness for the “new” exceed due measure, resulting in insufficient regard for, or entirely disregarding, the patrimony of the liturgy handed on. Moreover, the Council distinguished between the mutable elements in the liturgy and “immutable elements divinely instituted,” that can neither be reformed or changed and over which the Church has no control. It also cautioned that “no other person, even if he be a priest, may add, remove, or change anything in the liturgy on his own authority.” So, there is no rupture with the ancient tradition that the Council is prescribing for the Roman Catholic Church. The council never said that the liturgy facing the Lord or ad orientem is erroneous and needs to be abolished and replaced. Is Revisiting the First Millennium Practices a Solution? In the current ecumenical environment, Catholics and Orthodox are considering the practices of the first millennium, including papal primacy, for ways to find commonalities which will help East and West moving forward towards visible unity. If today, at the beginning of the third millennium, we are seeking to restore full communion, it is to the unity of the Church in the first millennium that we must look. The Catholic Church desires full communion to be established between East and West, and the first-millennium experience including facing ad orientem in the Divine Liturgy is inspiring. As a Byzantine Catholic and Church historian, I think that the progressive estrangement between East and West has contributed to abandoning ad orientem in the West. 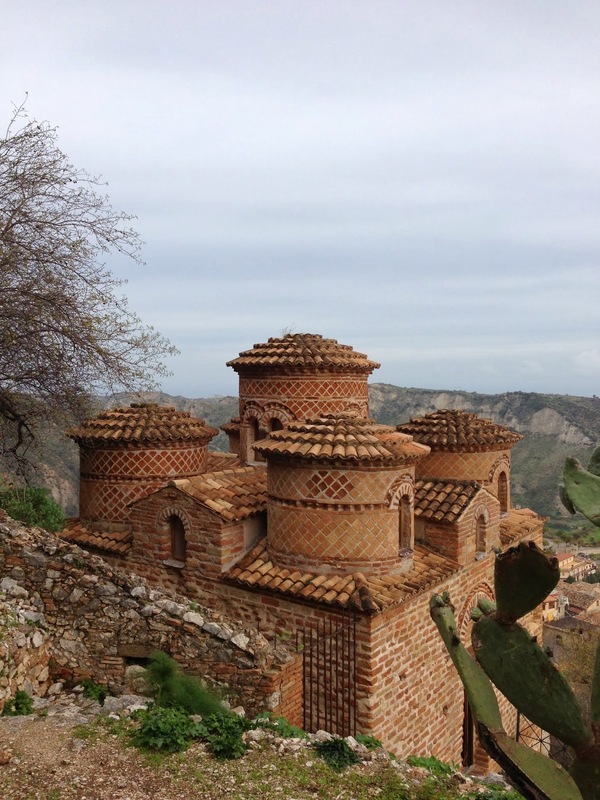 The ninth-century Cattolica di Stilo in Calabria. St. John Paul II in Ut Unum Sint (On Commitment to Ecumenism) suggested a return to that millennial unity. Pope Benedict XVI looked at the first Christian millennium as an example and as an objective to build bridges with the East. Pope Francis has shown a great deal of ecumenical sensitivity towards the Eastern Churches and their venerated traditions. Why not allow celebration both ad orientem and ad populum, and seriously revisit the ancient traditions of the Church in the first millennium? Ad orientem is of profound value and should be safeguarded. Its celebration “deepens and gives a more visible form to communion” among Christians – Catholic and Eastern Orthodox, as Pope Francis observed in the General Audience on January 18, 2017. Continuity with and reverence for the ancient tradition makes faith credible, and makes us educators and probably Church leaders more attuned to young people and their needs. After all, young people like my students crave authenticity, and to be in touch with the roots of a common tradition as it was celebrated and revered in the united Church of the first millennium. Ines Angeli Murzaku (http://academic.shu.edu/orientalia/) is Professor of Church History at Seton Hall University in New Jersey. She earned a doctorate from the Pontifical Oriental Institute in Rome and has held visiting positions at the Universities of Bologna and Calabria in Italy, and University of Münster in Germany. Her research has been published in multiple articles and several books, including most recently a Life of St Neilos of Rossano, the founder of the Italo-Greek monastery of Grottaferrata. Dr. Murzaku was the vice-president of the Association for the Study of Nationalities (ASN) and a United Nations accredited representative for the organization Christians Associated for Relationships with Eastern Europe, and the Founding Chair of the Department of Catholic Studies at Seton Hall University. She is a regular commentator to media outlets on religious matters.